Since its iPad mini event, Apple has kept customers in the dark as to when they can get their hands on its new iMacs. Today, the company has announced that the 21-inch iMac will be available from November 30, with the 27-inch model going on sale in December. Starting at $1,299, Apple originally said that the 21-inch model would will begin shipping in November – now we know that it’s just about stuck to that schedule. Both are set to be in homes in time for the holiday shopping sales cycle, although Apple’s ‘December’ shipping date appears to be quite loose. Earlier reports had suggested that Apple had been forced to delay shipments of its new iMacs until 2013, citing supply chain hold-ups. While the company is still facing supply and distribution issues, it has now begun offering dedicated dates for the new all-in-one computers, which have seen their first redesign in a number of years. The 21.5-inch iMac has a 2.7GHz quad-core i5 processor, with 8GB RAM, a GeForce GT 640M graphics card, and a 1TB HDD. The 27-inch iMac features a 2.9GHz quad-core i5 processor by default, with 8GB RAM, a GeForce GTX 660M graphics card, and 1 TB HDD and costs $1799. [It is a] new storage option which merges together the benefits of a Flash SSD and a traditional hard drive. Core applications and the Mac OS will stay on the SSD, while documents stay on the HDD to maximize storage and speed. 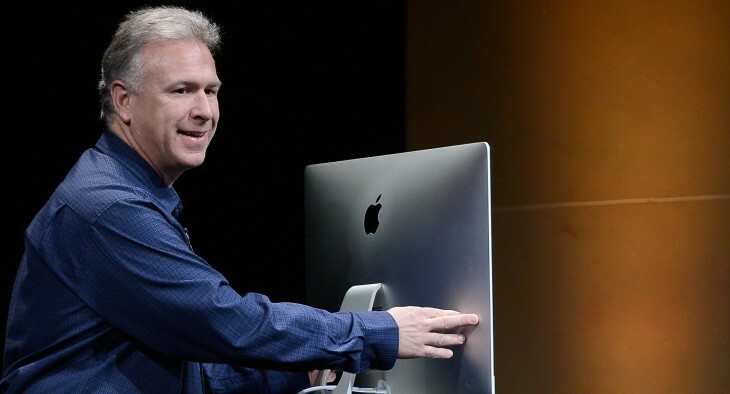 Apple’s Phil Schiller said that it was put together with ‘friction stir’ welding, allowing for a seamless design. The machine is tapered, making it thicker at the center of the back. The machine is 8lbs lighter than the previous model, with up to 3TB of storage, Core i5 or i7 Ivy Bridge Processors and four USB 3 ports.